I’ve been troubled by the stories of the Volgograd bombings. More troubling to me are stories that additional suicide bombers may be fanning out across Russia. Reports are that Saratov is on high-alert right now. 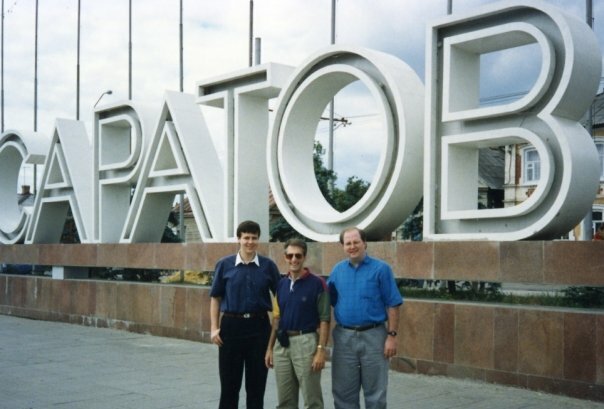 Many years ago now, I had the honor of visiting Saratov, Russia nine times over a seven-year period. These were mission trips with my former church, as we established friendships with Russians, in those first heady years after “the wall” had fallen. One of the most important learnings from these trips is the danger of associating the kind, decent and average citizens of any nation with their government or leaders. Our nation did that for all the decades of the Cold War. Most of us assumed “all” Russians were staunch “communists” and supportive of everything their government did in those days. Once I got to meet actual Russians, and hear their stories of those years, I realized nothing could have been further from the truth. And a lot of the “stories” we told ourselves about Russians had never been true. (And vice versa). This is an important learning to keep in mind right now, in our age of Vladimir Putin, his government, and specifically their treatment of LGBT persons. I’m angry with Putin and with what he is doing. And I’m pleased there’s so much push-back from Russian themselves. Knowing Russians –and their history of living in the fear of autocratic leaders, extending back into the time of the Czars– I am also mindful that there are likely a great many Russians who support LGBT rights, but who live in fear of speaking out. This is a hard dynamic for we Americans, raised on the free speech and open ideals of democracy, to comprehend. Finally, I’m troubled by the reports of terrorism. I pray for the good folks of Saratov, and hope that that they can find a way back to normalcy soon. This was taken at the Malkov family Dacha, right on the Volga River. 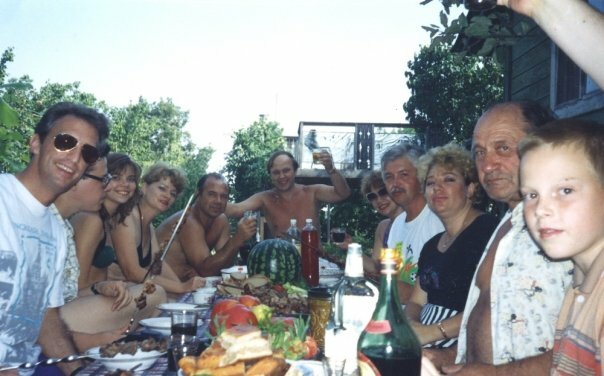 It was an incredible day of swimming, shiskabob, home-grown tomatoes and cucumbers from the garden, and copious Vodka toasts to “Russian American friendship.” David Griggs and me were honored to get to spend family time with these Russian families. Given the shockingly high number of “enemies” we’ve been invited to create in the decades that have followed –Muslims, Gay and Lesbians, Immigrants, The Poor– the US/Soviet dynamic now seems like a quaint, almost innocent, relic. But there was a time when it was revolutionary to become “friends” with Russians. And that history, it seems to me, can help us navigate the current day. At least by reminding us that all these broad categories we use to stereotype and categorize people can keep us from seeing the beautiful human beings inside every category and “group”. So, today I pray for the good, decent, average people of Russia living in fear of terrorism.